Drum roll, please; suspense…Bybrand will be live at Product Hunt! November 08 of 2018 marks the date when we will be presenting Bybrand to the largest community of specialists in the business world; a very special day indeed. Thank you, Chris Messina, for the time taken to help us. I am going to tell you a secret. I have been waiting for this day for a very long time. I lacked courage and had too many doubts and uncertainties because I could not foresee the exact results. Ever since April of 2017our business, pricing and market segmentation models have been evolving and today we have a direction in which to go. I will tell you a bit about our story here. Before everything started, I had been working on Bybrand alone, as the founder. However, I was not completely alone; I use many services from Fiverr.com and from a web agency, which takes care of our blog. Bybrand started as a side project for an email hosting company in Rio de Janeiro, Brazil. I was a big fan of the blog Crew.co (sold to Dribbble), and it was there that I read about “side-projects” for the first time, understanding how this could add to the business in terms of acquiring new clients. This was in 2015; Bybrand was then created, and like with the majority of parallel projects, it was forgotten for 2 years. In 2017, the Bybrand website went offline by chance, and so I went to take a look at the database through PHPMyAdmin, noticing that there were 35 thousand accounts using the email signature service (the service was free). It was at that moment that I realized that I had a potential business. I decided to create Bybrand version 2 as a part-time project. I did not reuse any codes, and the signatures created in version 1 did not work in the new version. Version 2 was no longer free, but rather it followed the Freemium strategy, where the first email signature was free, and for $9 one could have unlimited signatures. Well, you can imagine that it did not work. Not many clients were willing to pay, and many were able to get around the system, making copies with only 1 signature in their account. I am not in favor of making codes swell up with unnecessary business rules, limits and kludges. I like keeping codes simple; too many business rules make the system swell up and does not encourage development. Why don’t you create rules that will keep the user from updating the signature after it is saved? Why don’t you put a limit on code downloads and signature copies? Imagine the number of codes needed to block something that is supposedly simple. I believe that Bybrand has been evolving thanks to the simple, well-written code that is offered, with a test coverage that nears 100 percent. Because the Freemium model did not work, I abandoned the option of having the first signature for free, changing it to a Free-Trial. Customers would have unlimited email signatures for $9, having 14 days to evaluate the product with no need for a credit card. Things began to get better. 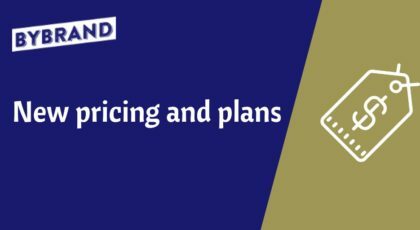 In the month where the change was made, April of 2018, around 105 clients bought Bybrand Premium for $9 per year (that’s right, per year). You can’t imagine how difficult it is to sell a product when you don’t have much to show. However, at least we found out that the Free-Trial was the right way to go. After realizing that there were people and companies out there who would pay for quality email signatures, I decided to dedicate myself fully to the business. In April of 2018, we completed 1 year of business, and Bybrand wasn’t only a part-time project. This was the moment to truly work. That was the start of the real hard work and the time to show why we had come into the world. However, we still had many challenges in the business, which did not only involve creating new features. See Bybrand circular cropping feature. In June of 2018, we launched our first integration, of course, with Google Mail (Gmail) and its amazing API. It worked! Integrations were the path to take in terms of our differential. We launched integrations with Freshdesk, Bitly, G Suite and Zoho Desk, and we are currently in line for good integrations such as Rebrandly, Zoho Mail and Zendesk (waiting for them to allow HTML signatures). 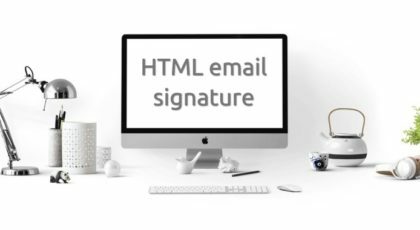 Extra: if you are still reading this and your business has an API that allows the update of email signatures, write to me. I would love to integrate with your app. In the beginning, I wrote that Bybrand cost only $9 per year, but with our new resources, we were confident that we could raise the price. We can’t keep Bybrand running as a business with such a low price. We created the Bybrand Lite plan, with a limit of 15 email signatures, and the Premium plan. I confess that we will soon be creating a third plan called Enterprise (for large companies) and the Premium, which today has unlimited signatures, in the future will have a limited number of signatures. We are currently working on reducing the time to value (TTV), especially for integrations that facilitate the updating of email signatures for the team, with only a few clicks. We will also soon be directing development towards the area relating to reports, in order to give the client the perception of results, such as signatures opened and emails sent. This is currently possible in a basic form with Bybrand Reports and the integration with Bitly. We are a useful tool for sales, marketing and corporate teams that wish to standardize email communications for all employees. You can get much more from the email signatures of your team. Quickly think about how many emails you send daily. There can be a simple and attractive way to catch your public’s attention. Visit https://www.bybrand.io for more detail. Product Hunt is a website that allows users to share and discover new technology products, such as software, websites, and applications. The products are published, or “hunted” by “hunters”, and the users can vote and comment on them. It is not just “a place”, it is a community where developers, journalists, entrepreneurs, investors and members of the technology world can spend time discovering and discussing new products.